Until the 1980s, South Korea did not feature prominently in the Soviet world view. The average Soviet citizen imagined South Korea as a run-of-the-mill underdeveloped military dictatorship with some Asian specifics. Many saw it as a country run by brutal and corrupt generals, where common people lived in abject poverty and fear. The dramatic discovery of South Korea had to wait until the early days of Perestroika – and this discovery was dramatic indeed. In the late 1980s, South Korea suddenly came to be seen as a symbol of everything the Soviet people then considered desirable: market economy, dynamic economic growth and openness to the outside world. It was often contrasted with the stagnant and dirty poor North Korea, which stood as a symbol of everything the Russians of the era hated and wanted to get rid of. In a somewhat curious twist, in their newfound admiration for South Korea, Soviet public opinion tended to overlook the features, which for decades had defined their perceptions of South Korea. For example, they conveniently ignored that until 1987 the country remained a military dictatorship. It was the Soviet decision to send athletes to the 1988 Seoul Olympics that opened the floodgates. 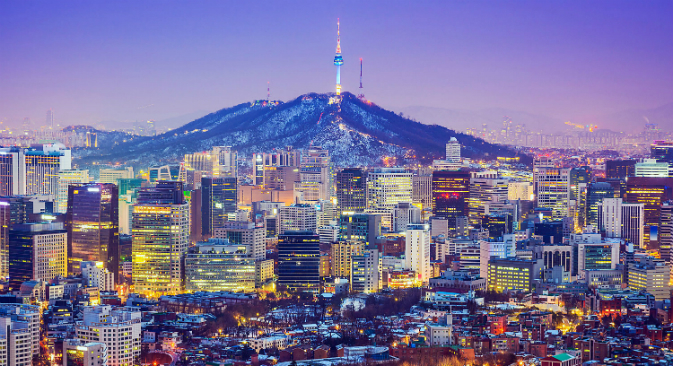 In the late 1980s and early 1990s, the Soviet press ran admiring stories about the affluence, sophistication, and economic success of South Korea, frequently contrasting it with the economic failure of the North. For journalists and readers alike, this success story was seen as the best confirmation of the unstoppable power of the market economy. This was exactly the message the Soviet public wanted to hear around 1990. This trend clearly contradicted what the majority of the educated young South Koreans wanted to believe at the same time. In South Korea of the late 1980s, Leninism (sometimes bordering on Stalinism) was popular among university students. It led to rather amusing misunderstandings when young Soviet intellectuals, then overwhelmingly firm believers in the great potential of capitalism and liberal democracy, encountered their South Korean peers who had an equally ardent belief in the virtues of the planned economy and state-managed society. Their inability to understand one another was truly staggering. Among other things, the aspiring Korean revolutionaries were profoundly shocked to learn that the works of socialist realist ‘cannon’ they studied with zealous diligence (like, say, Gorky’s ‘Mother’ or Mayakovski’s poems) were at that time despised in the country of their origin as worthless junk produced by the regime’s paid hacks. Visiting Russians were equally amused to see that seemingly normal people were ready to talk about these works without any trace of contempt. In this regard Oleg Proskurin, one of the leading Russian literary scholars, wrote with amusement in his blog how in 1992, he encountered a South Korean scholar at some international conference. The young Korean scholar complained how the military regimes made her and her friends study Solzhenitsyn and Pasternak while preventing them from dealing with ‘real’ Russian literature which, in her mind, included Fadeev, Ostrovsky and, above all, Gorky’s ‘Mother.’ For a young Moscow professor who saw these ‘official’ authors as a cabal of shameless propaganda-mongers, such statements were seen as almost unbelievingly absurd and outrageously comical, so even now he relates the incident because of its amusingness. This early enthusiasm for South Korea (and, for that matter, free market economy) would subsequently wane in the 1990s. Nonetheless, it did not disappear completely. For the average Russian person, South Korea remains a country of technological wonders and economic success. This article wasfirst publishedby RBTH Asia.